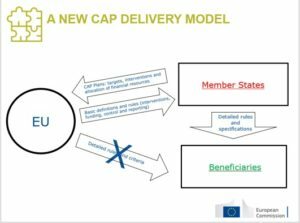 We are moving towards the adoption of the provisions regarding LEADER in the 2021-2027 period, but it is still difficult to place LEADER in the new architecture of CAP. The proposals of the European Commission regarding Community-led Local Development (CLLD) and LEADER were published in May/June 2018. The legislative process is in progress and a number of concerns have been voiced by the co-legislators European Parliament and Council (as well as by the Committee of the Regions). The process is not expected to be completed with the adoption of the new regulations in the current term of Parliament and it is worth catching a snapshot, especially regarding LEADER, which is treated separately from the rest of CLLD in the Commission proposals as they stand. We have already presented a summary of the main proposals and changes in CLLD/LEADER for the post-2020 period. 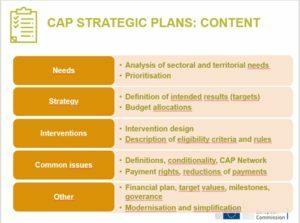 An overview of the proposals for LEADER and the state of play of discussions in the framework of CAP was recently presented by Guido Castellano and Karolina Jasińska-Mühleck of DG AGRI. This presentation spells out, among other things, what stays unchanged in LEADER and the main changes. However, it is difficult to figure out the place of LEADER in the broader context of CAP. The new architecture of CAP seeks to integrate direct payments, rural development programmes and sectoral programmes. LEADER does not feature under any of the nine objectives of CAP. 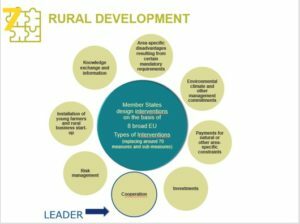 It is mentioned, like an afterthought, under ‘cooperation’ which is one of the eight types of intervention envisaged for rural development – see below. 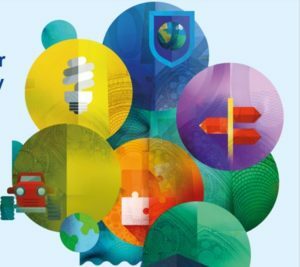 In 2019, Member States will start preparing their CAP Strategic Plans (CSP) that will integrate the three existing administrative processes – direct payments, rural development programmes and sectoral programmes – in a single document. The aim of this new structure and delivery model is to improve the effectiveness of the policy against the objectives, and ease access to support for beneficiaries. It simplifies considerably the delivery of the CAP, reducing the rules and controls set at the EU level, while focusing more on achieving results. It further provides greater room for manoeuvre for MSs to better respond to their specific needs and context. (See preparatory workshops by ENRD and Evaluation Helpdesk). In other words, LEADER will be a compulsory part of the CAP Strategic Plan but it will be largely up to MSs to define much about its delivery, which can have a great impact on the capacity of LAGs to address local needs. It is also surprising that the draft CSP template provided to Member States does not mention LEADER once! It looks like that MSs will be left with huge discretion, from setting minimum EAFRD allocations at regional level to selecting types of action to be supported and relevant results indicators. The draft template offers 38 results indicators for MSs to choose from, but only a small number of them could be relevant for LEADER (e.g. R.31: Growth and jobs in rural areas; R.32: Developing the rural bioeconomy; or R.35: Promoting social inclusion). There are other uncertainties too, which will hopefully be clarified at later stages (for example the links between the rural development funding and the Common Provisions Regulation). As we have already highlighted in a previous post there are several specific concerns on aspects of the proposals regarding CLLD. As usual … “the devil is in the detail”.